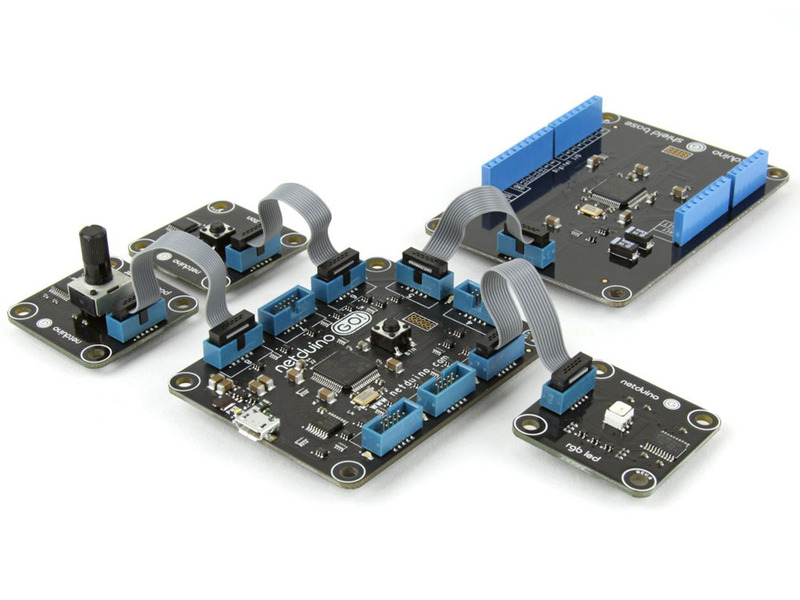 This starter pack comes with all the stuff you'll want to hit the ground runing with Netduino Go! Included is the Go! 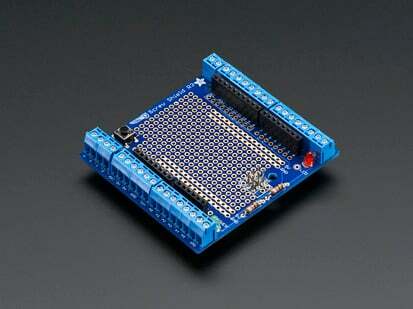 mainboard, the Shield Base, a Button module, a Potentiometer module, an RGB LED module, 4 Go! cables and 3' microUSB cable to connect to your computer for programming and power. 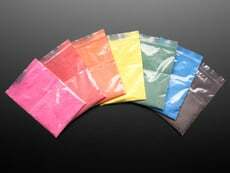 Some of you aren't yet comfortable picking up a soldering iron, or you don't want to spend your time calculating resistor band colors. 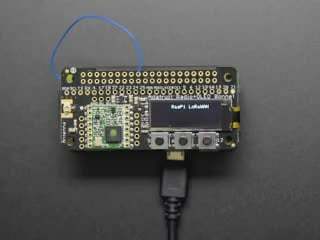 You want a plug-and-play Netduino. We've been listening. 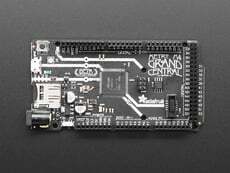 And together with several members of the Netduino community, we've been crafting radical new hardware. 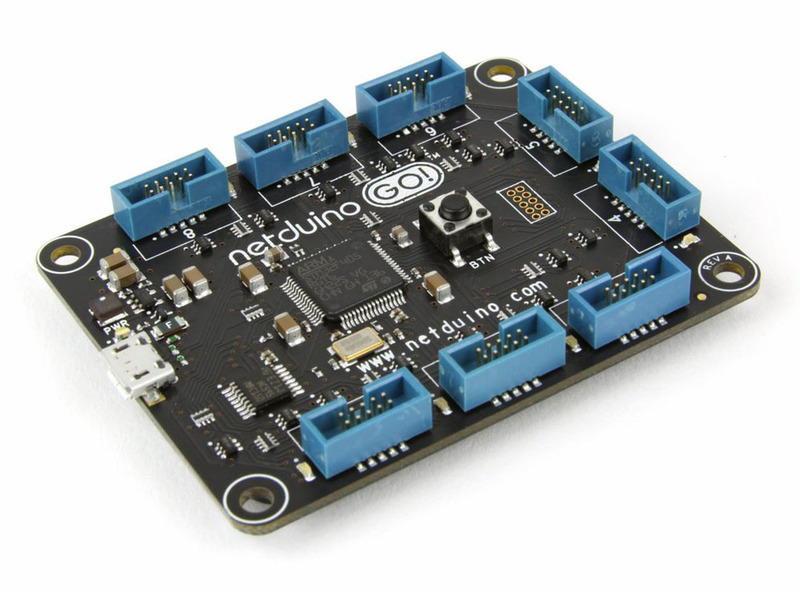 Today, we introduce a Netduino with more speed, flash, and RAM. 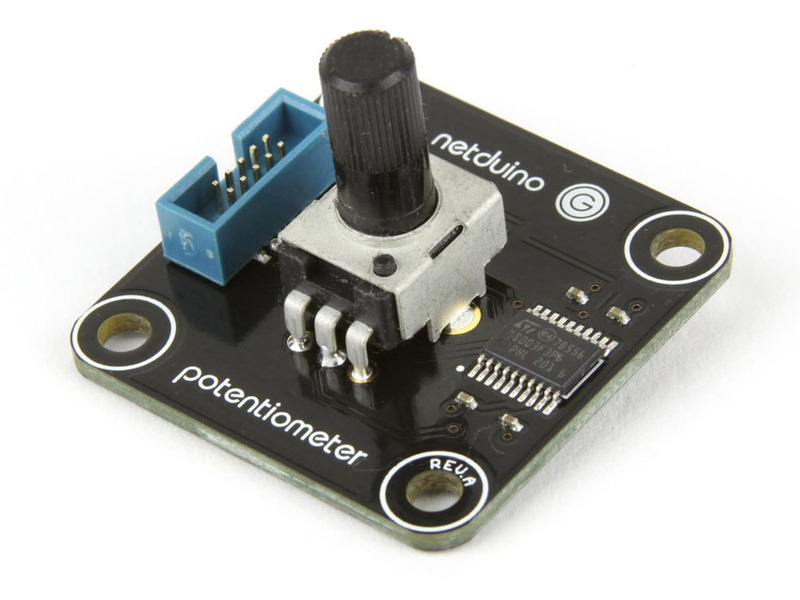 And a Netduino with support for more GPIOs, serial ports, analog inputs, and PWMs. 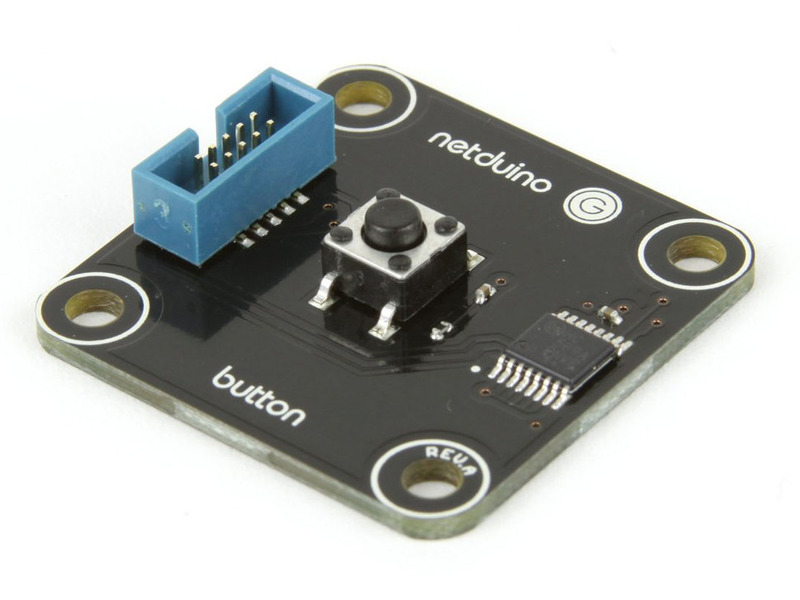 And today, we introduce a plug-and-play Netduino. Best of all, these are all the same board! Netduino Go has four times the speed (168MHz), six times the code space (384KB), and twice the available RAM (100KB+) of Netduino Plus. And with Netduino Go, we've virtualized all the peripherals. So you simply pick what you need and plug it in. 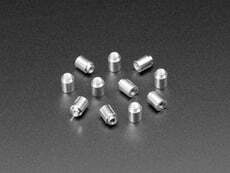 Each module has a small microchip which works together with the mainboard. 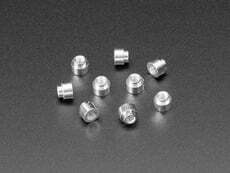 Want to use a relay? Just plug it in. Need six RGB LEDs? No problem. 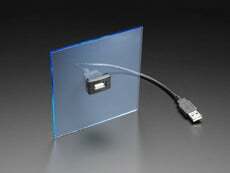 How about a touchscreen? One cable, plug and play. 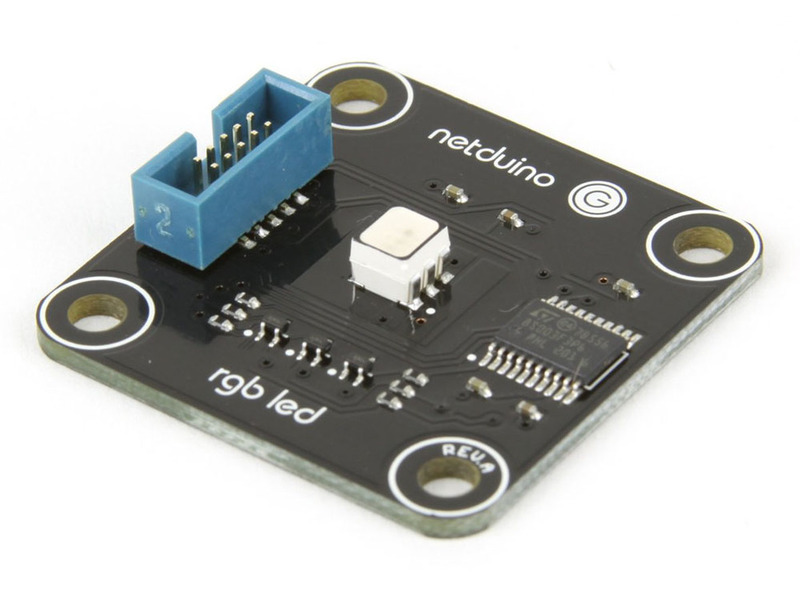 Alongside Netduino Go, we're introducing a very cool accessory. We call it the Shield Base. 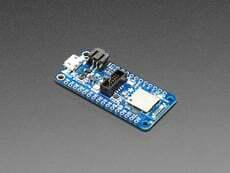 You plug it into your Netduino Go and it provides you with the latest Arduino pinout, 6 PWMs, 6 ADCs, and a handful of GPIOs. To use it, you just create InputPorts, AnalogInputs, etc. using the standard NETMF classes. All Netduino Go hardware is production hardware. We're shipping the production Shield Base hardware with early beta firmware so that we can get wide feedback on this new virtualization technology. 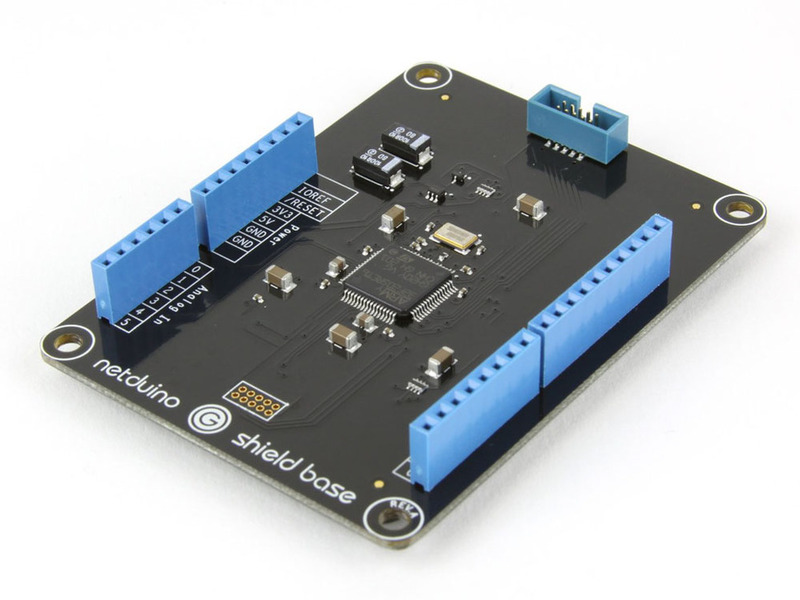 And to say thank you for beta testing the Shield Base, we've temporarily upgraded its 128KB-flash MCU to a full-blown 512KB-flash 120MHz Cortex-M3 microcontroller. 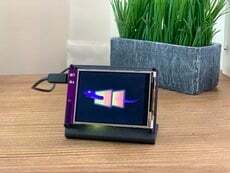 You can connect it to power and a USB-TTL serial cable and use it as a traditional Netduino if you'd like as well--while enjoying its 3 serial ports and other new enhancements. Both the Netduino Go and the Shield Base run production versions of .NET MF 4.2 QFE1 (RTM).